This image shows the riverboat Island Queen navigating the channel of Wolf River Harbor. The light colored, metal arch, in the background, is part of the Hernando de Soto Bridge. 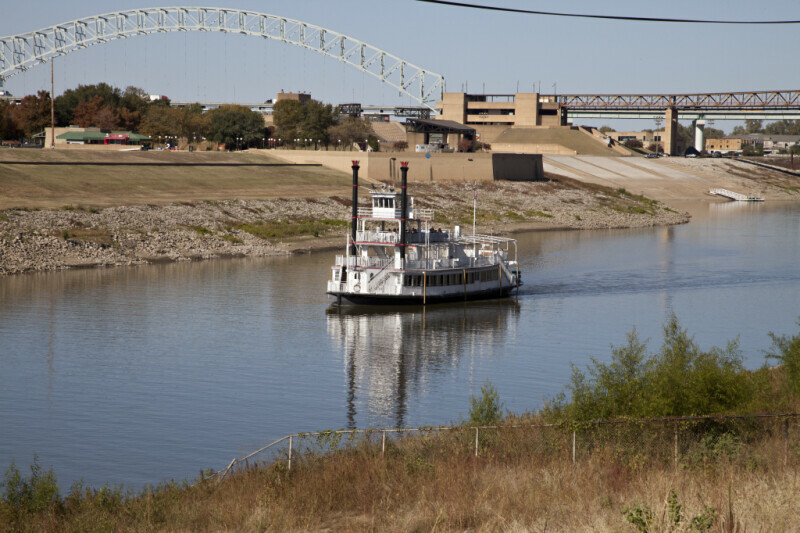 The brown, metal frame, in the background, is a bridge used by the Memphis Suspension Railway.